Feeling like you need to consider a different major and wondering how to have that conversation with your parents? 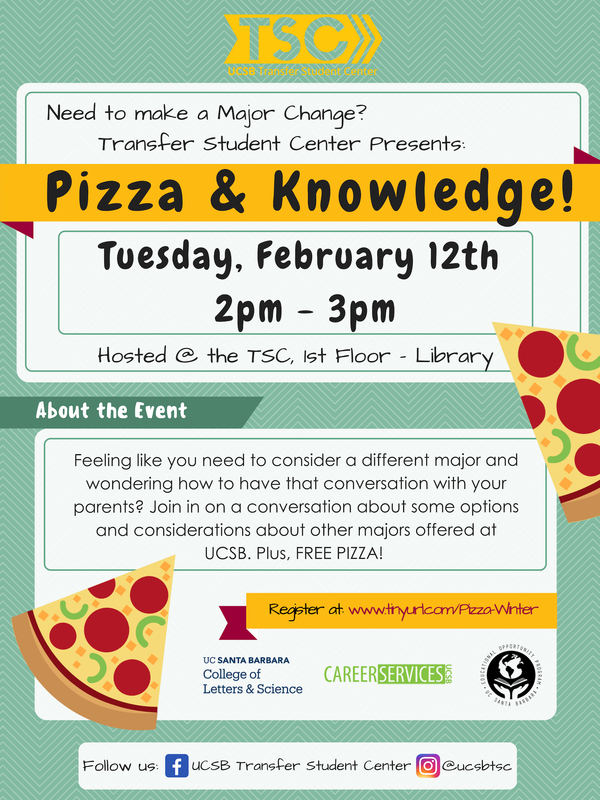 Join in on a conversation about some options and considerations about other majors offered at UCSB. Plus, FREE PIZZA!